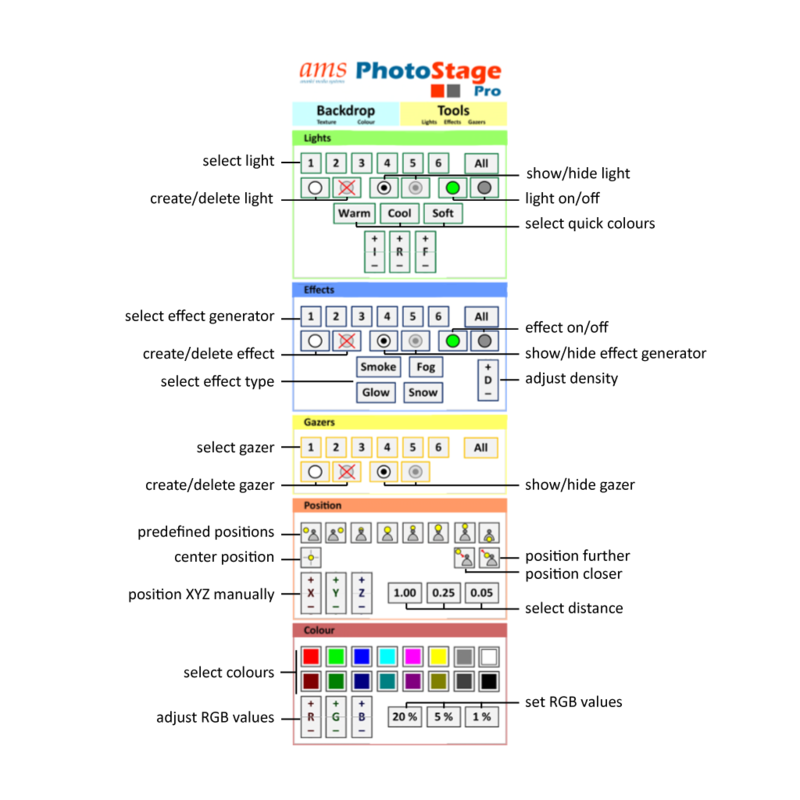 Locate the PhotoStage Pro HUD in your inventory (included in the PhotoStage Pro folder). Left-click the Backdrop or Tools buttons at the top of the HUD to access controls. 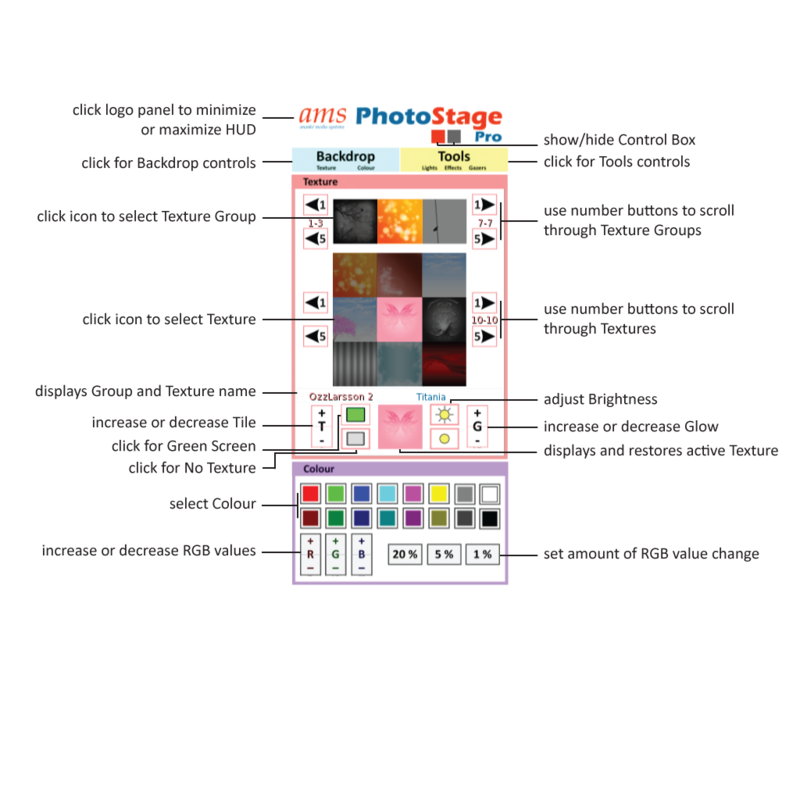 The following two diagrams provide quick guides to the HUD controls for the Backdrop and Tools. For full instructions, see below.